Kitty Comforts: "Plenty of room to play, eat, and of course... nap!" Our recently renovated 'Cat’s Meow' is attached to our office, separate from our doggy guests. This setting provides a safe and relaxing environment for your feline family member under the close supervision of the Lakeside team. 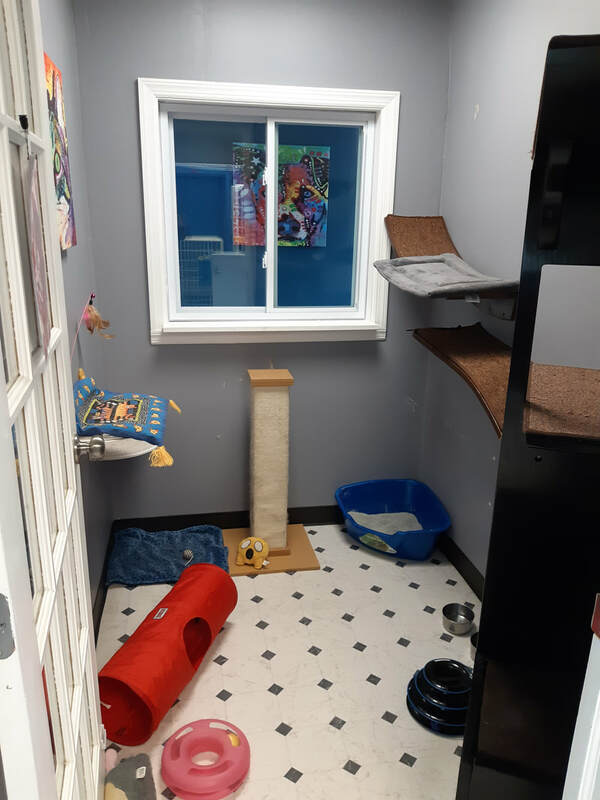 Our kitty condos are designed to be a home-away-from-home. They are spacious, private and is designed with different levels for climbing and cozy bedding for cat naps. 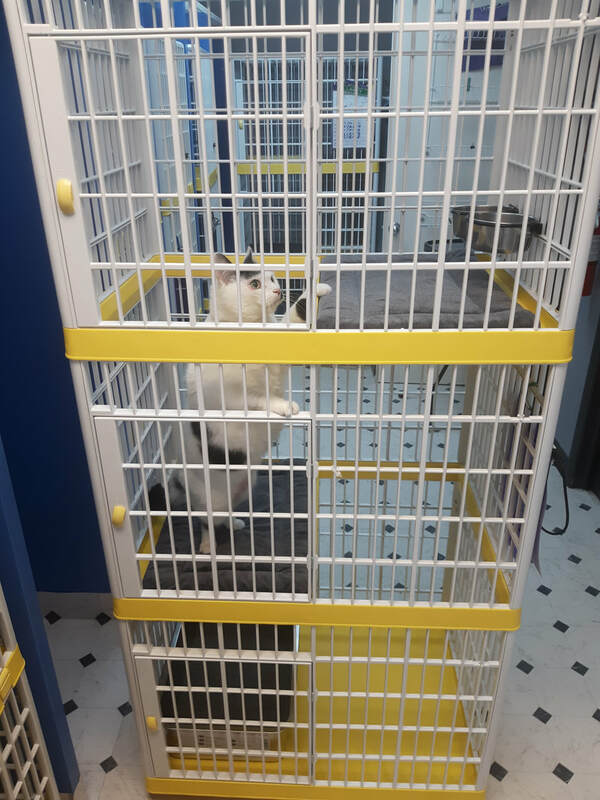 Personal playtime in our kitty playroom can be provided for an additional charge. 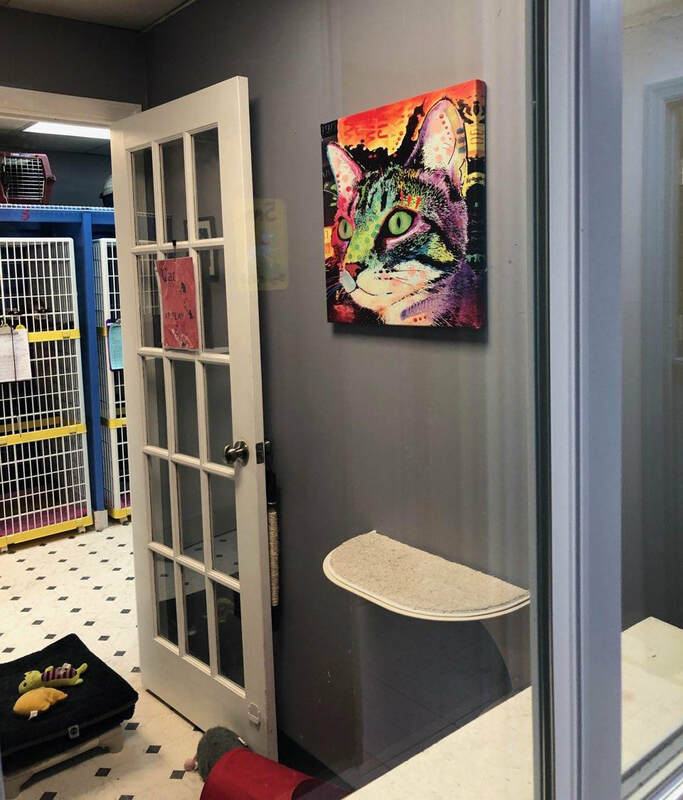 Your cat will enjoy climbing cat trees, playing laser tag, pouncing on feather wands and playing with organic catnip-filled toys while spending even more one-on-one time with our staff. ​​Kitty Cuisine: "Top-quality food for top-quality felines." ​Our feline guests are fed Fromm Game Bird cat food, Surf & Turf, or a similar alternative adult cat food. However, it is always best to bring your own pet's regular diet to be fed while boarding to avoid digestive issues. All cats have fresh water 24 hours a day. Kitty Daycare "Hang out for an hour or the whole day!" We offer daycare services all year round. Daycare consists of the same amenities that our boarding guests receive. Your cat will have their own 3-tiered Kitty Condo. Bedding and bowls are always supplied to our guests. 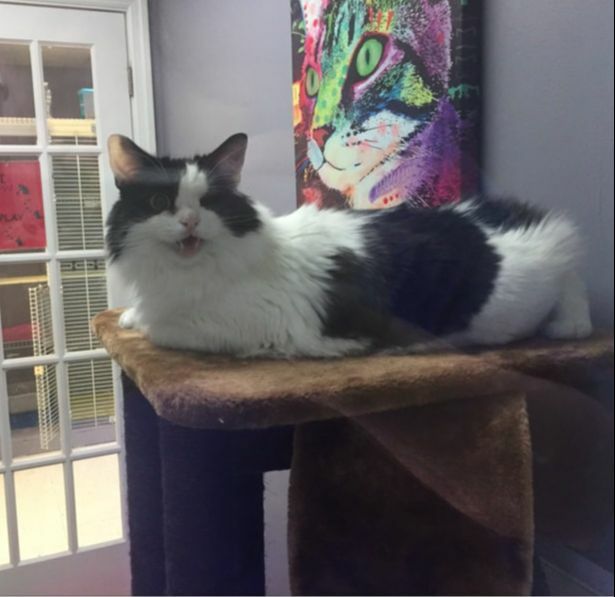 Your cat will always have access to fresh water during their stay and we can feed them during their daycare at no extra charge if you would like. "A Healthy Cat Is A Happy Cat"
For all day-care, boarding, and/or grooming animals we require proof of current Rabies vaccination only. For all other vaccinations your cat's veterinarian's protocol will be followed. We ​strongly recommend that no vaccinations be given within 14 days of boarding. The vaccines will not provide any protection for your pet during that time and side effects from receiving the vaccination should be avoided when boarding.